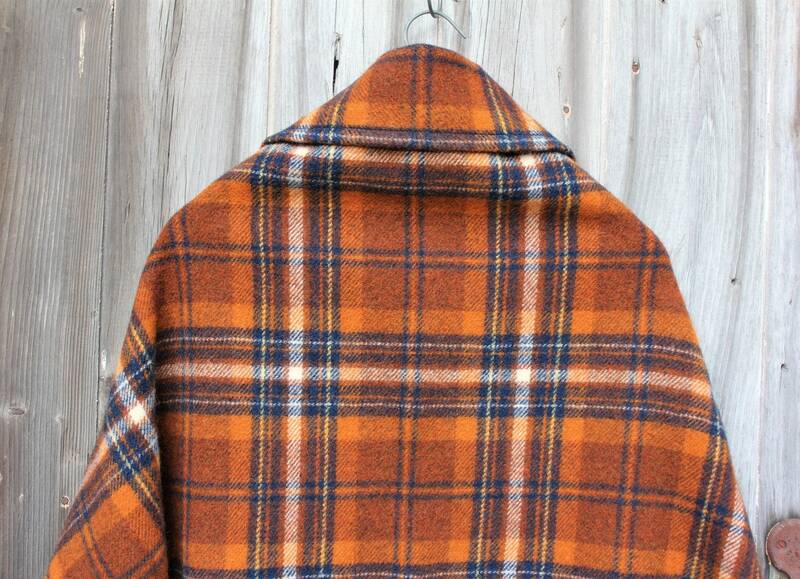 We chose this beautiful Genuine Pendleton Plaid blanket from the 1960s to create this one of a kind poncho. 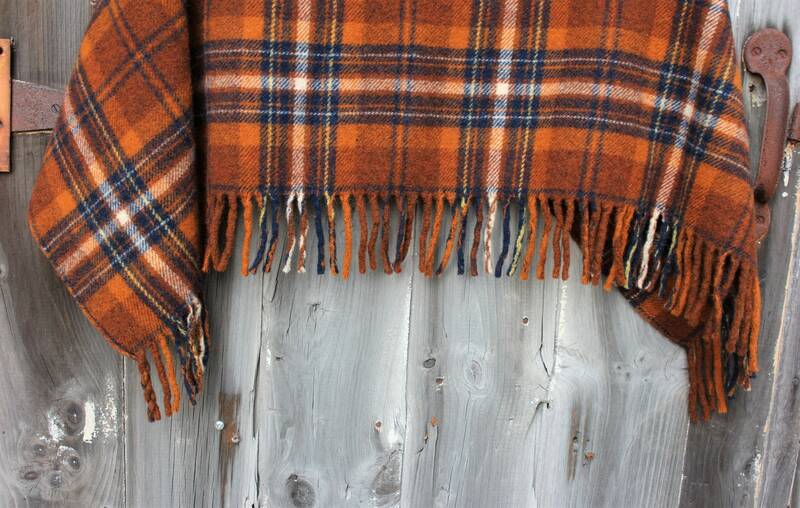 The wool plaid has amazing colors of rust, blue, and amber and is in perfect condition. 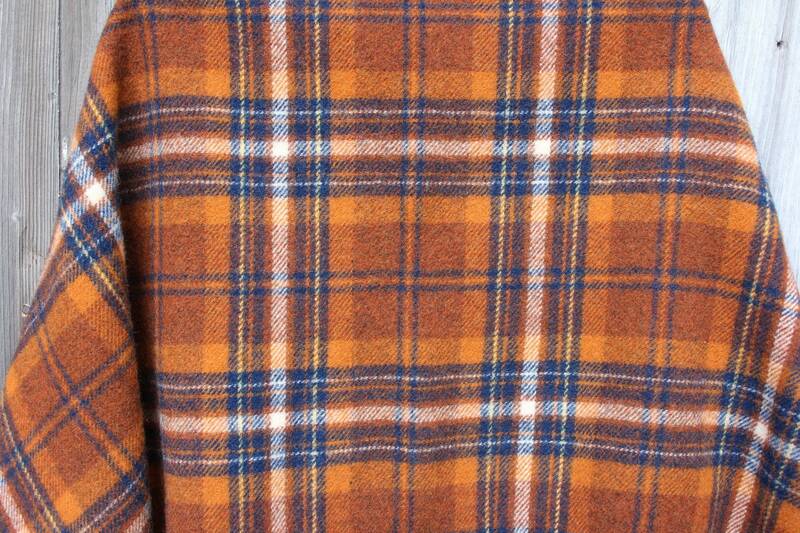 We utilized the thick wool fringe for the bottom of the poncho. 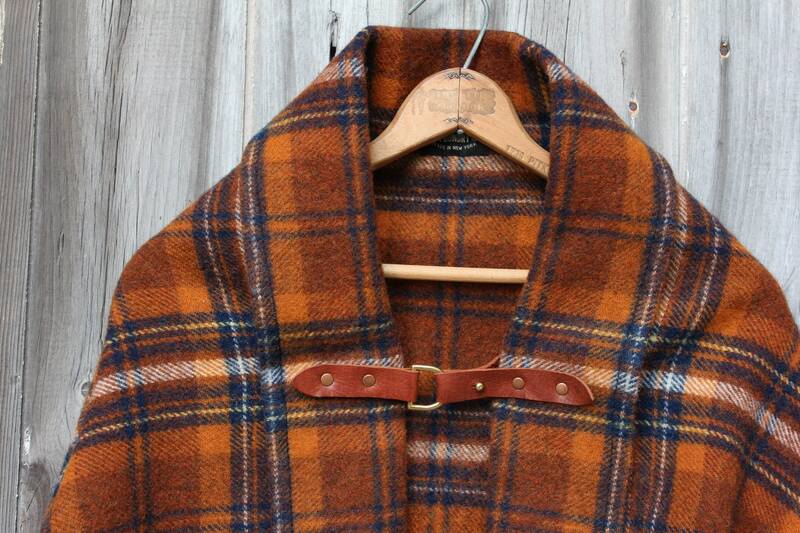 The front is secured closed with a leather closure with a solid brass D-ring, brass stud and antique copper rivets. 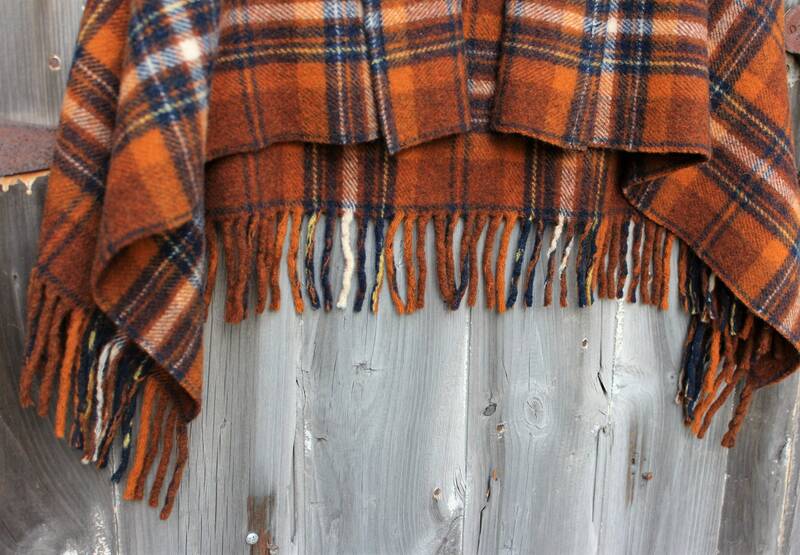 This can be worn over a sweater or lighter weight puffer jacket. 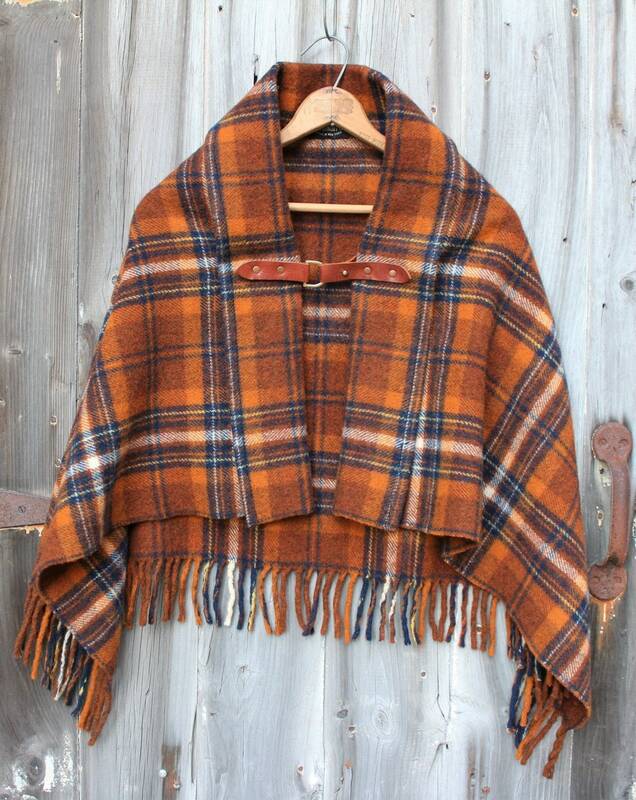 This is a one size fits all style.